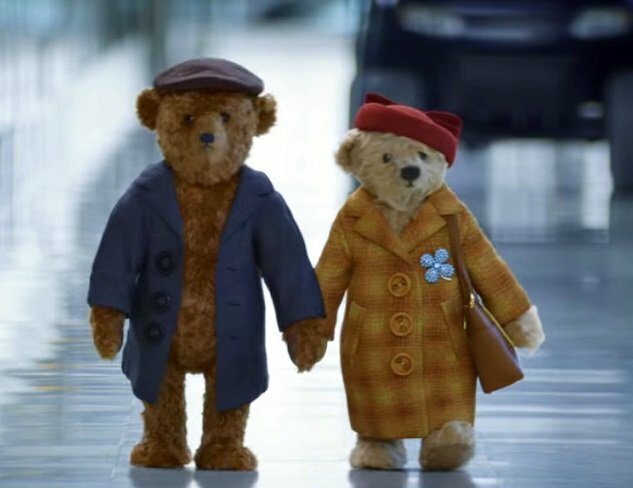 Heathrow has today unveiled its newest Christmas advert, which adds another tale to the life of Britain’s much-loved bears; Doris and Edward Bair. The pair, who have starred in the airport’s last two Christmas TV adverts, are this year returning to the UK from their Florida home after longing for the quintessential British Christmas. The advert opens with Edward soaking up the rays on a lilo, wearing festive swimming shorts and applying layers of tanning oil. After hearing the sound of carols, speaking to family and seeing images of home, all these little touches remind The Bairs that Christmas in the sunshine is just not the same. From memories of cosy fires and stockings hung, to drinking mulled wine and the grandchildren playing, Doris and Edward know what they need to do to make it Christmas; make it Home. Set to the 80’s classic of Paul Young’s ‘Every Time You Go Away’, The Bairs rush themselves back towards the British twilight, arriving into Heathrow – the same location their eyes met and their love story began 50 years ago. Paul Young, singer, songwriter and musician comments: “’Every Time You Go Away’ was first released over thirty years ago in 1985. So much has changed since then, however the feeling of loved ones going away is still the same. I’m delighted that it will feature on Heathrow’s Christmas advert which brings to life those feelings for Doris, Edward and the Bair family”. The advert sees the re-ignition of the partnership between Heathrow and film direction by DOM&NIC through Outsider Productions and animation from The Mill. Creative was led by advertising agency Havas London. A madman committed mass murder today in a Texas Baptist church. The FBI took over the investigation that may have constituted another deadly terror attack on U.S. soil.